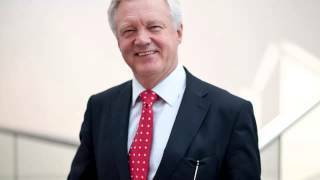 Whether it is civil liberties, grammar schools, upgrading Trident or Afghanistan, David Davis continues be a major contributor to the national debate. He tackles another subject today in an article for the Mail on Sunday. Analysing the average income for graduates he concludes that many students would have been better off financially if they had never gone to university. Leading Tory MP David Davis is backing Financial Mail’s campaign against Government rules that have slashed the income of tens of thousands of pensioners who saved diligently for retirement and describes the changes as silly, ill thought out and crude. 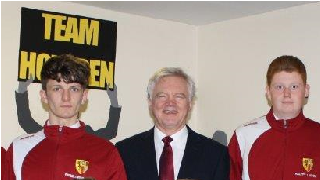 Tory big beasts do not come much bigger than David Davis. For years he was a standard bearer for the Conservative Right, and many of the party’s supporters still wonder what would have happened if the one-time SAS reservist had seen off David Cameron in the 2005 leadership contest. The former shadow home secretary does not roar often, but when he does, the party listens. David Davis’ speech today is the most significant criticism of the coalition’s economic policy from Tory ranks. Davis might not be the force he was back in the early 2000s but he’s still a big figure who demands attention.